The widely publicized conversation about an industry-wide pilot shortage always reminds me of an old story about a student pilot, flogging around in a J-3 Cub who sees a light twin cargo-hauler flying above them and dreams of the day they will be in the left seat of something a little bigger, a little faster, and that pays a little better. Meanwhile, the pilot of the twin sees a regional airliner flying above her and thinks about how much better life will be when the call comes to get some real right-seat turbine time. The story culminates with the captain of a 747 looking down from the flight levels to see a J-3 Cub gliding low and slow over the farmers’ fields and thinking about how much fun it would be to be down there wandering around with the door open and nothing but blue sky ahead – real flying. There often seems to be an omission about the role that the metaphorical J-3 Cub plays – not just in training the student, but also in the dreams of the 747 captain – in the world of aviation. As the director of government affairs and communications for the Canadian Owners and Pilots Association (COPA), I attend many conferences, seminars, and workshops where industry experts gather around and strategize about how to make being an airline pilot a more attractive career option, but they often do not talk about how to make flying more accessible. They talk about more airline cadet programs, possibly changing the structure and format of flight training to make the process more appealing, getting the major airlines to stop poaching instructors so they can train new instructors, but there is very little about actually connecting future pilots with their basic desire of flying an airplane – something that, arguably, cannot be done at a career fair. This is where the conversation needs to pivot back to the role that general aviation plays in producing the aviation industry of tomorrow. At a recent forum concerning the future of the aviation industry, a number was put forth saying that by 2025, Canada will need to produce an estimated 15,000 new pilots in order to simply fill the void produced by retirement and other attrition, not counting projected growth. I was proud to raise my hand and highlight how, through our COPA for Kids youth program, where volunteer GA pilots donate their time, aircraft and fuel to give free airplane rides for youth, that over the past five years more than 18,000 kids had participated in our program. The challenge is not in creating a love of flying but rather in getting those who are interested from introduction to flight-type events and across the ramp, into the flight school. Sadly, only one or two in the room had ever heard about COPA for Kids, including the pilots. Recognizing that we needed to do more, this year COPA partnered with the Air Canada Pilots Association (ACPA) to produce the first-ever Canadian Aviation Career and Scholarship Guide, a directory of scholarships and bursaries available to individuals looking to get their start in whatever aspect of the industry they choose. From COPA’s perspective, 2018 saw the most ever applicants for our Neil Armstrong Scholarships. Suffice to say we are keen to build on this success next year. 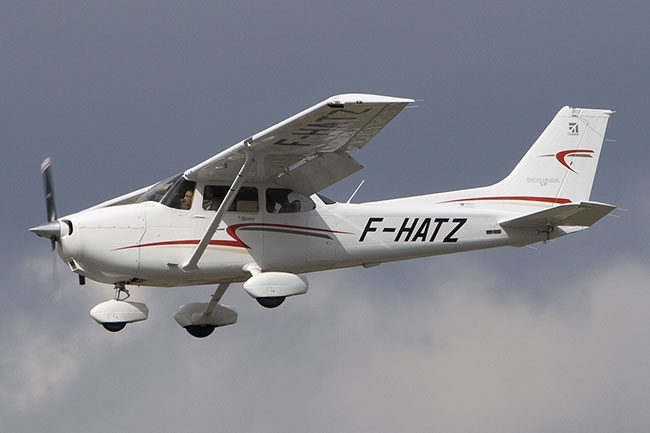 General Aviation as a whole is fragile and it needs to be supported. Flying is expensive, especially on one’s own dime. In the competition with other priorities such as student loans, a first home, or a new family, flight training often falls to the bottom of the list. Buying your own aircraft, though often a more cost-effective way to train than renting, doesn’t even register on the scale for many. Compound that with lack of available space in the local flight school, which in many cases weathered the hard times by seeking out lucrative foreign training contracts, and what should be the first step on a gradual upward career trajectory seems more impossible at every juncture. However, in a generation of Instagrammers and Youtubers, flying can, and does often, virtually sell itself. To ensure the supply chain for pilots stays healthy, the front door of the aviation world, GA, has to stay open. This means protecting community airports so that flight schools have places to train, ensuring adequate talent and experience is retained at the instructor level, preserving the flying clubs and social networks associated with airports, and including the community in what goes on at their local airport so they are connected and realize the important role that asset is playing locally and in the big picture. It also means that pilots have a duty to future generations to introduce new people to airplanes and connect those potential pilots with the opportunities to realize their dreams. Whether volunteering at a youth aviation event, donating back to the scholarship program that helped them get started, or simply by taking a friend for an airplane ride. Otherwise there will be no J-3 Cub, either for the students or the 747 captains. Carter Mann is a third-generation pilot and Manager of Government Affairs & Communications, Canadian Owners & Pilots Association, Ottawa, ON. GAO report reveals pilot shortage in the U.S.